It’s difficult to imagine life without Instagram, Snapchat or the ability to quickly snap a picture of something on your phone, but two decades ago, this wasn’t the case. When Sony Ericsson launched its T68i phone with a camera attachment in South Africa in the early 2000s, I couldn’t understand why anyone would want to take photographs with their phone. ‘This will never catch on; I mean why wouldn’t you just use a regular camera?’ is what I thought. The T68i by no means had the best camera. Its biggest images were 640 × 480 pixels, but it was the beginning of a shift in the way that we interacted with our most personal devices. Instead of using our phones to just communicate, we were starting to use them to create. While it was the first phone camera to launch in South Africa, the world’s first smartphone camera was actually created by Sharp in November of 2000 – although some argue that Samsung’s SCH-V200 was the first. Sharp’s J-SH04 was the earliest phone that let you send images directly from the device, unlike the Samsung, which required you to connect your phone to a computer to access and send the images. Fast-forward to 2018, and things have changed dramatically. Smartphone cameras are integrated (and arguably essential) components of the modern smartphone and, in fact, are a deciding factor for many when it comes to buying a phone. Smartphone camera technology has become so versatile and ubiquitous that legendary photographers such as Annie Leibovitz are now brand ambassadors for companies such as Huawei, and popular shows such as Modern Family have had entire episodes filmed using mostly smartphones and other mobile devices. This has led to the inevitable comparison between smartphone cameras and their traditional counterparts, DSLR and mirrorless cameras. While Apple, and then Samsung, have both held the title for best smartphone camera, that has recently shifted thanks to the rapid rise of a Chinese tech giant. Huawei has just released the Mate 20 Pro – our phone of the year – and it has what is arguably the best camera on any phone available in South Africa. 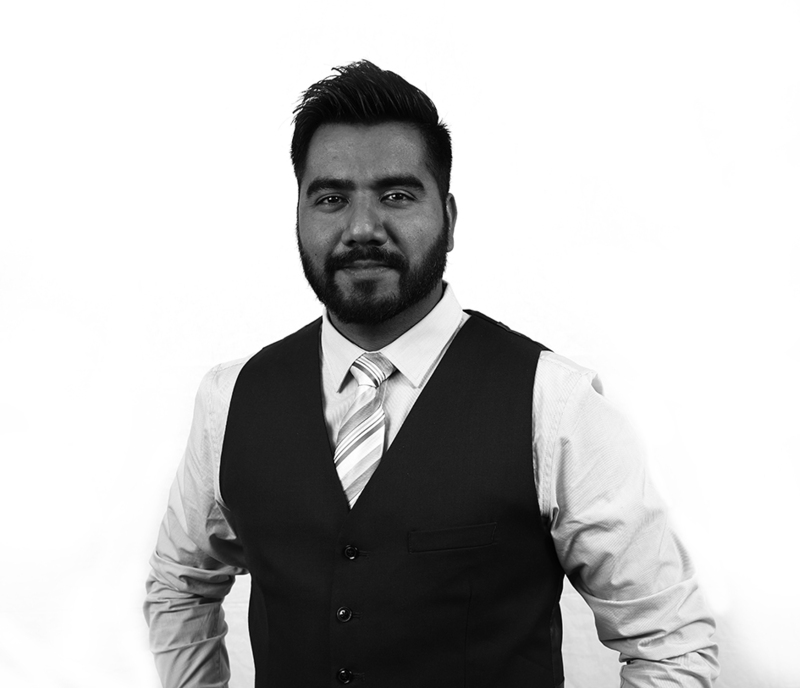 We spoke to Akhram Mohamed, Chief Technology Officer at Huawei South Africa, to find out about the evolution of smartphone camera technology from one of the Big Three names in the smartphone industry. Akhram Mohamed: Wow, there’s so much to talk about here, we can have an entire article just dedicated to this question. But, in a nutshell, the first smartphone cameras only surfaced around 18 years ago. They were capable of resolutions in the region of 0.35 megapixels and could only store around 20 images. We didn’t have the capability to wirelessly share these images in the very early days, not that many people would have wanted to, considering how poor the quality was. Between 2007 and 2010 is when we began to see a glimpse of the potential for modern smartphone photography as we know it today, with the dawn of the touchscreen and improved hardware and software capabilities, as well as the trend of sharing images to social media, which helped drive the industry forward. And here we are today with smartphone cameras like those on the Mate 20 Pro that would rival many a DSLR. PM: Are smartphone cameras capable of replacing DSLR and mirrorless cameras, or is the technology not quite there yet? no need to purchase expensive photography equipment as your smartphone should be able to handle virtually anything you throw at it. As for seasoned professionals, they are being surprised every day by the capabilities of our smartphone cameras, which often rival high-end DSLRs. Pro photographers find that these smartphones are becoming the go-to back-up option to their professional equipment. So can it replace a DSLR? It most certainly can, depending on the photographer and situation. PM: What is more important when it comes to smartphone cameras – great camera hardware or great image-processing software? AM: This is an ongoing debate, and the response varies depending on who you ask. I believe that not just the camera, but the entire smartphone experience relies on the interaction and integration of great hardware with great software. One should not be separated from the other. Software has advanced incredibly over the years, especially with AI image processing. However, great hardware will dramatically reduce the need for post processing. In low-light scenarios especially, you absolutely cannot discount the value of great hardware. 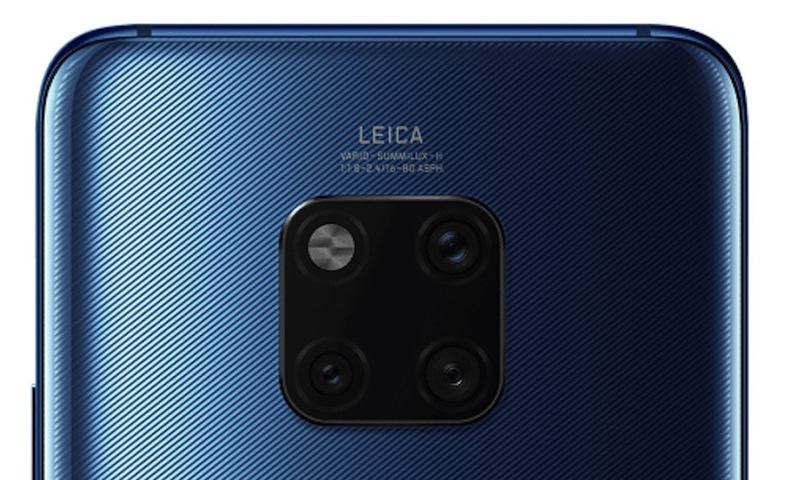 It’s for this reason that Huawei invests in both the software and hardware areas of the cameras and doesn’t prioritise one over the other. 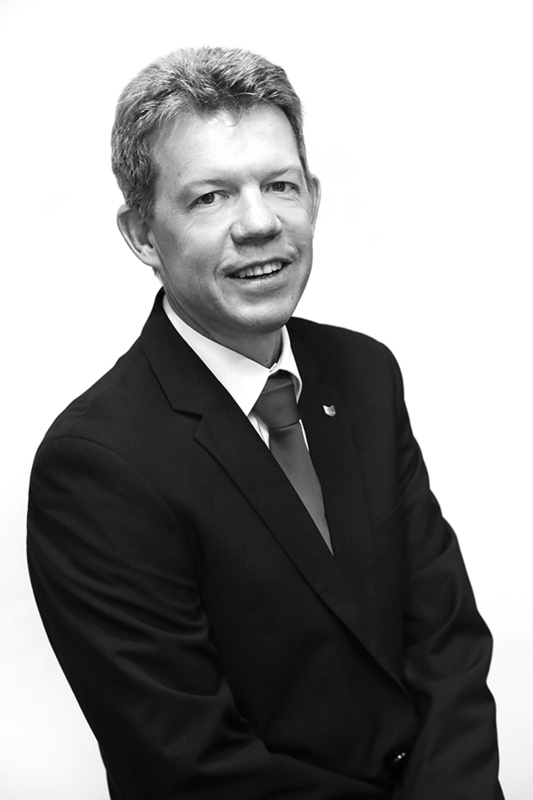 With so much talk about smartphone technology and computational photography – using algorithms to combine a mass of data from images to create a photo that wouldn’t be possible with film photography – we thought it would be worth speaking to Abri Kriegler, Product Manager at Canon South Africa. Popular Mechanics: Smartphone cameras have evolved rapidly; however, the advancements in conventional (DSLR and mirrorless) cameras appears to have stagnated. Is that true, or has conventional camera technology reached a level where it’s not able to evolve and innovate anymore? Or are there significant innovations that the average consumer isn’t aware of? Abri Kriegler: Conventional camera technology is still going on and developments will always happen. Sensors are evolving continuously and how light is utilised by these cameras could be some of the major advancements that we see in the future. Lens developments are also continuing and the new RF range from Canon is a prime example of this. PM: Are DSLR and mirrorless cameras under threat of being overtaken, in popularity and image quality, by smartphone cameras? AK: Most definitely not. It is rather the smaller, fixed-lens pocket-sized cameras that are feeling the impact. PM: What are some of the technologies used in DSLR and mirrorless cameras that smartphone cameras are unable to replicate? AK: Optical zoom over a distance is hard to do with a smartphone. A large sensor has a distinct advantage in lower-light situations. PM: Where do you see the future of photography and videography going? Will smartphones be the ultimate go-to camera, or will there be space for DSLR and mirrorless cameras to coexist along with smartphone cameras? AK: There will always be a place for regular cameras. Once again, photography as an art and as a hobby is doing well due to the advent of smartphones. Also, time and time again we find that smartphone users still want a camera to take those ‘keeper’ images that are worthy of printing. PM: What is the next big step for DSLR and mirrorless camera technology? AK: Canon recently launched the EOS R Mirrorless Camera, which is revolutionary. Featuring innovative technology for photography and film-making alike, the EOS R System allows all users to shoot and film in extremely low light with accurate focusing, thanks to Dual Pixel CMOS AF. Small and discreet, the EOS R System gives flexibility, plus the advantage of silent shooting. It also offers the highest standard of movie output from any Canon EOS System camera, enabling film-makers to take their storytelling to the next level in 4K, with output in 10-bit over HDMI. The whole system has refined handling and enhanced ergonomics, including an electronic viewfinder and extensive customisation, allowing the user to focus on the subject rather than the camera. At this stage, there is nothing more revolutionary than the EOS R.
These conversations tell us how some smartphone and camera companies view the evolution of camera technology, but how does it translate into real-world usage for professionals. 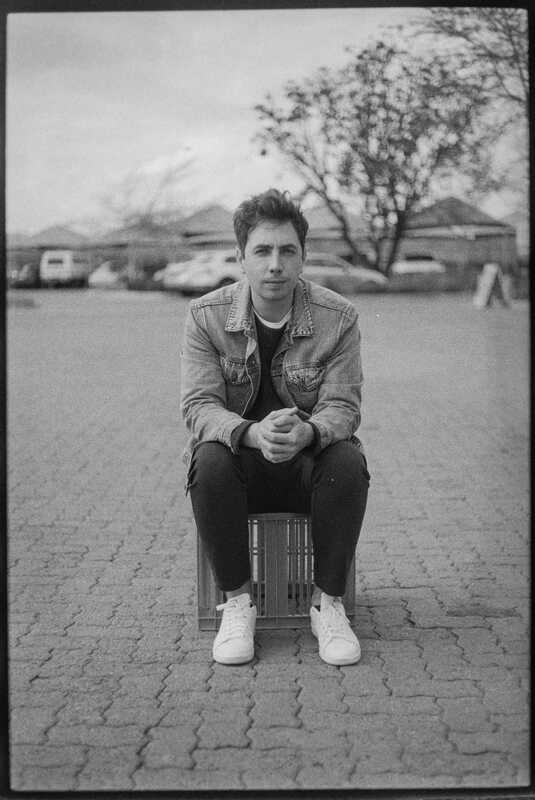 We spoke to Student Oscar-nominated and SAFTA-winning film-makerMiklas Manneketo find out what he thinks about the evolution of smartphone photography versus traditional photography. Popular Mechanics: Do you think conventional camera technology has reached a point where it’s not able to innovate and evolve anymore, especially when compared to the rapid evolution of smartphone cameras? Miklas Manneke: If you look at camera developments within smartphones in the last four years, there have only been marginal hardware improvements. The huge innovation has been in software development. The way information is being processed is the major direction in which all camera technology is moving. The truth is that image quality really boils down to the size of the sensor. ms of quality. The majority of people would likely not be able to tell the difference between various formats. Content has really become about the connection between the user and the device. PM: Will smartphone cameras overtake DSLR and mirrorless cameras in terms of popularity and image quality? MM: No, I don’t think so. In a discussion with @garethpon, he mentioned that there is this buzz around young photographers where they will usually say something like, ‘I like taking photos with my phone, but someday I would love to get a real camera.’ It is becoming more and more difficult to throw a blanket on the photography/content category. PM: What are some of the strengths of smartphone cameras? MM: Having a camera in your pocket all the time has changed everything. The best camera is the one that you have with you; it allows you to photograph real moments as they happen and gives you the opportunity to capture more memories than ever. Another huge benefit is that the smartphone is unassuming – we have become desensitised to it, so it allows photographers to capture people who have their guard down. PM: Where do you see the future of photography and videography going? Will smartphones be the ultimate go-to camera or will there be place for DSLR and mirrorless cameras to coexist with smartphone cameras? MM: I think they already coexist. It all depends on what you are trying to achieve with your project and that will really dictate the format in which you should be creating your content. Each format has its benefits, which will help you tell your story. The future is definitely becoming a place where everyone can have access to high-quality equipment, a place where everyone can have the opportunity to capture their unique perspective and tell their stories. PM: Is there a place for film photography or is computational photography the way of the future? MM: I think there will always be a place for film photography. Film, as a format, teaches one so much about the basics of photography and film-making. It helps you get an understanding of the various technical applications, but most of all, film photography has so many universal lessons that it can teach photographers. The film photographers I’ve observed over the past year have become exponentially better because of the format. It forces you to focus on the moment without the luxury to review your picture; it helps you understand the value of each image, because a roll of film only has so many frames, and it is also a catalyst for preparation and research. Film brings you completely into the present. Photography in general can almost become a transcendent state of consciousness. You are most intensely yourself and most intensely on Earth, for a second, and then it is gone. PM: As a videographer and content creator, do you have a preference between smartphone cameras or DSLR and mirrorless cameras? MM: On my Instagram (@miklasmanneke) feed I will generally use my Leica Q and iPhone. It really depends on the content I am working on. I have worked on huge projects using smartphone cameras, mirrorless, DSLR and film. Each project gravitated towards a specific format for a reason, for the story it needed to tell. It is important to remember that your camera is just a vessel for you to capture what inspires and fascinates you. While most technology reviewers will say that each new smartphone camera is heralding the death of DSLR and mirrorless cameras, it’s clear that that’s not the case and that, for now, there’s place for all to exist in harmony. 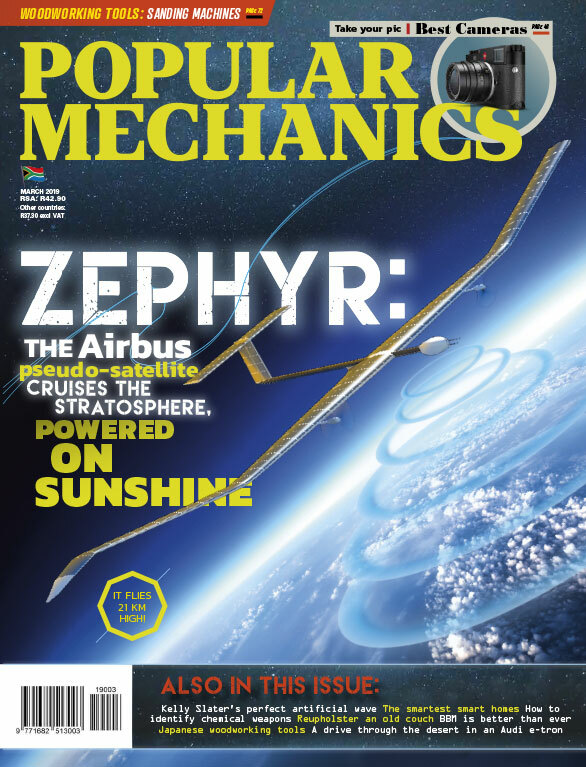 This article can be found in the December 2018 issue of Popular Mechanics SA.